Combining high-end manufacturing with the latest in refined technology, Cheminees Philippe proudly introduces the latest in three sided wood fireplace design. 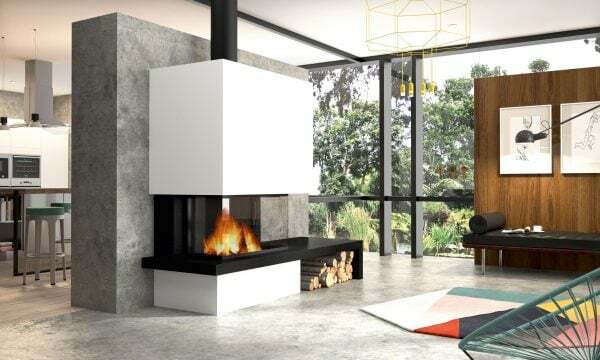 The Radiante 890 3V’s clean and uninterrupted lines offer a spectacular view of the fire from any angle; positioned along a wall or centred to create a beautiful, functional room divider. 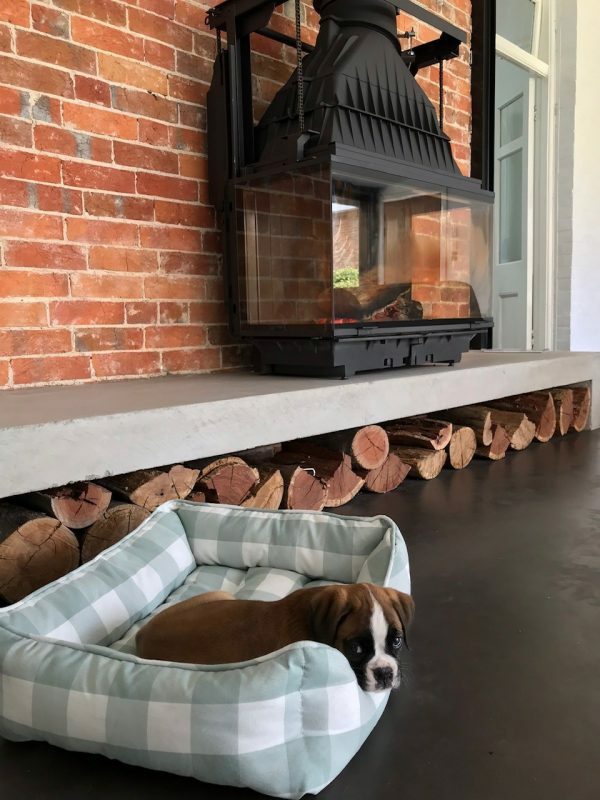 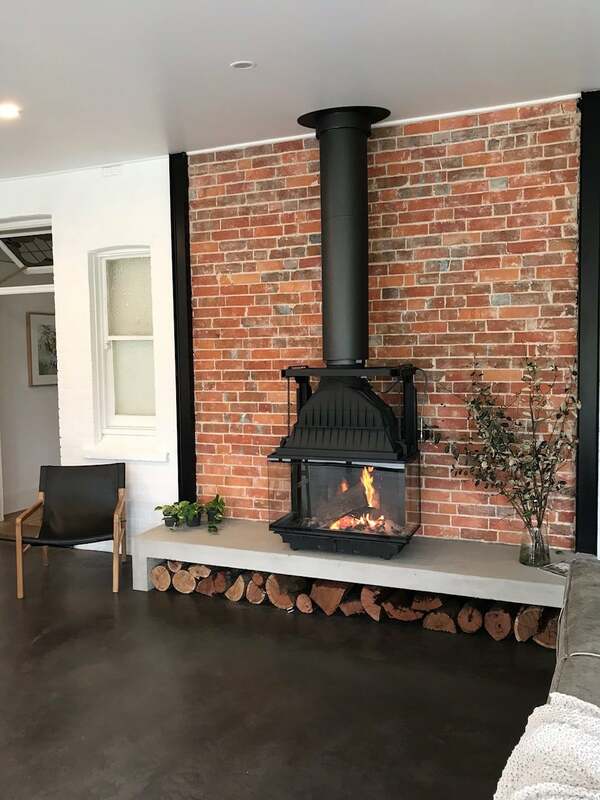 This contemporary, cast iron firebox offers new and interesting perspectives in contemporary fireplace design. 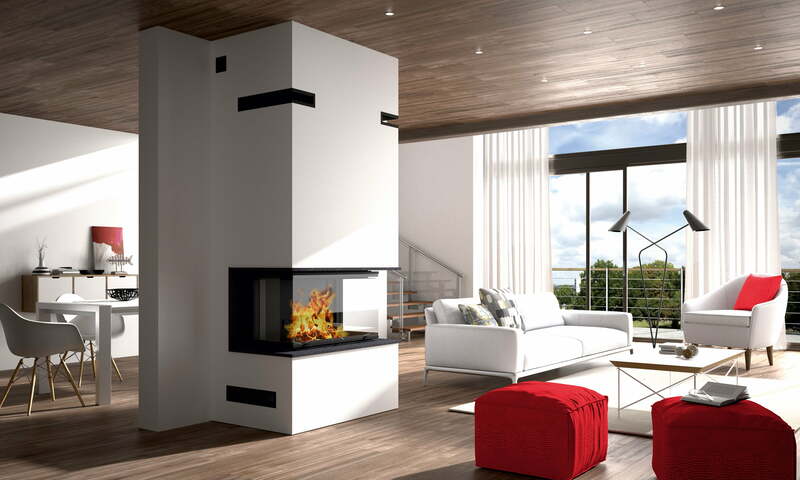 Cheminees Philippe’s original Dual Opening Door System allows you to slide the entire 3 panel glass door up in one motion to enjoy the ambience of an open fire. 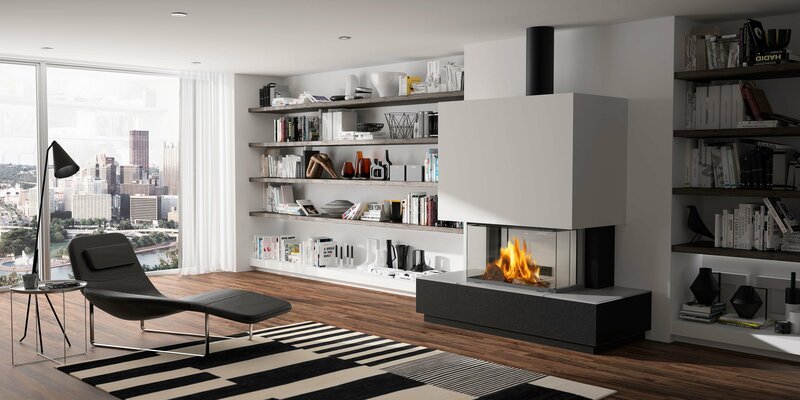 Slide the door down and the unit reverts immediately to an efficient and safe slow combustion wood fire. 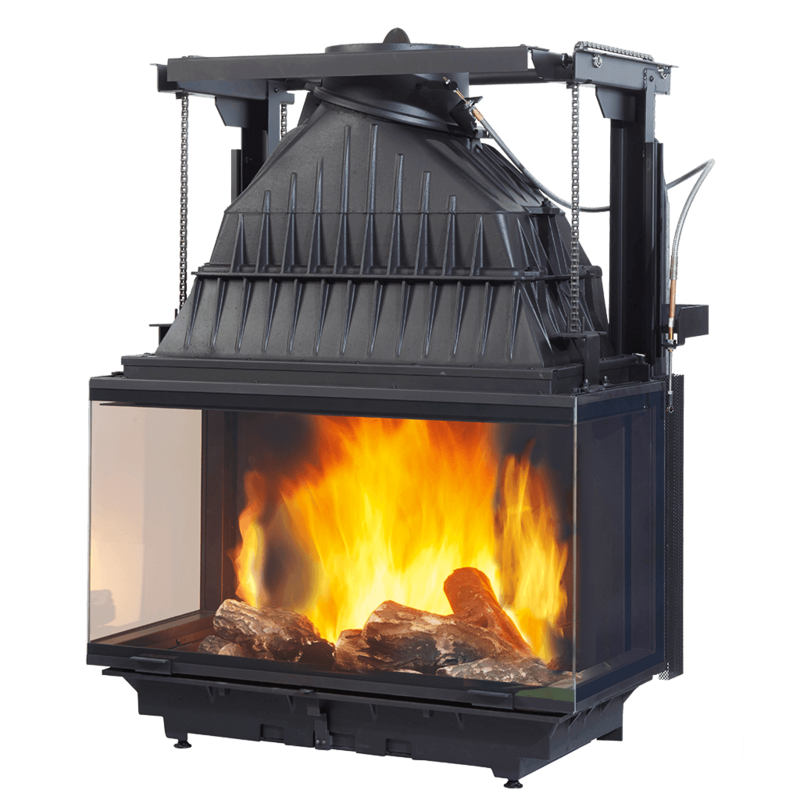 The impressive combination of high quality cast iron and ceramic glass, together with a dual combustion heating system, guarantees reliability and durability in slow combustion heating efficiency and performance.